The 2018 Best Online Education Programs rankings were just released from the U.S. News & World Reports. The Master’s level online programs in the Judith Herb College of Education earned a rank of #107 (out of 219). This ranking is an increase of two places since the previous year, and 29 places since 2016. Our ability to rise in rank exemplifies our commitment to continuous improvements. U.S. News ranks schools based on five categories: Student engagement, student services and technology, admission selectivity, faculty credentials and training, and peer reputation. The Collage has online Master’s guess programs in Early Childhood Education, Special Education, Educational Technology, and Higher Education. Are you interested in adding a global and inter-cultural perspective to your Education coursework? Are you an Education student in good academic standing? Are you able to travel outside the United States to China? Are you interested in learning about Chinese schools first hand? Are you interested in experiencing Chinese culture first hand? Are you over 20 and under 30 years old? 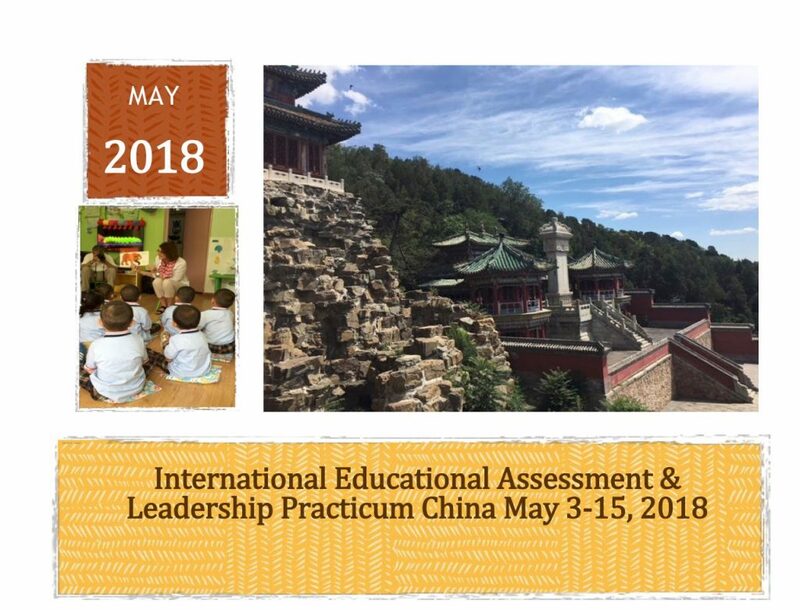 If you said yes to all the above, then you may be eligible for a once in a lifetime Education- focused opportunity in Qinhuangdoa & Beijing China! What will it cost? estimated total between $1500 — $2000 (includes roundtrip flight Detroit to Bejing, Passport, Visa, and Chinese Culture Class at UT). All costs in China (room, board, transfer, excursions) are covered through generous support of the Confucious Institute. If you are interested in this once in a lifetime experience, register at https://goo.gl/forms/EoapqiXG5W15Apsu1 NO LATER THAN Friday, February 2nd or email analese.alvarez@rockets.utoledo.edu with questions.